August 31 is the 243rd day of the year(244th in leap years) in the Gregorian calendar.There are 122 days remaining until the end of the year. 1895 – German Count Ferdinand von Zeppelin patents his navigable balloon . 2006 – Edvard Munch's famous painting The Scream , stolen on August 22, 2004, is recovered in a raid by Norwegian police. Year 1056 (MLVI) was a leap year starting on Monday of the Julian calendar. Year 1057 (MLVII) was a common year starting on Wednesday of the Julian calendar. AD 12 (XII) was a leap year starting on Friday of the Julian calendar. 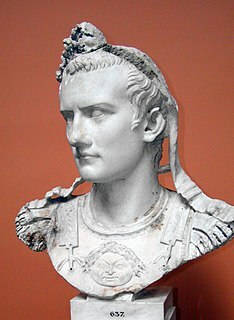 At the time it was known as the Year of the Consulship of Caesar and Capito. The denomination AD 12 for this year has been used since the early medieval period, when the Anno Domini calendar era became the prevalent method in Europe for naming years. Year 161 (CLXI) was a common year starting on Wednesday of the Julian calendar. At the time, it was known as the Year of the Consulship of Caesar and Aurelius. The denomination 161 for this year has been used since the early medieval period, when the Anno Domini calendar era became the prevalent method in Europe for naming years. Liu Cong, courtesy name Xuanming, nickname Zai, formally Emperor Zhaowu of Han (Zhao), was an emperor of the Xiongnu state Han Zhao. He captured two subsequent Chinese emperors, and executed them back in Pingyang after forcing them to act as cupbearers. These raids finally forced the Chinese to move their capital from Luoyang to Nanjing. Year 577 (DLXXVII) was a common year starting on Friday of the Julian calendar. The denomination 577 for this year has been used since the early medieval period, when the Anno Domini calendar era became the prevalent method in Europe for naming years. Aristides the Athenian was a 2nd-century Christian Greek author who is primarily known as the author of the Apology of Aristides. His feast day is August 31 in Roman Catholicism and September 13 in Eastern Orthodoxy. Saint Cuthburh or Cuthburg was the first Abbess of Wimborne Minster. She was the sister of Ine, King of Wessex and was married to the Northumbrian king Aldfrith. 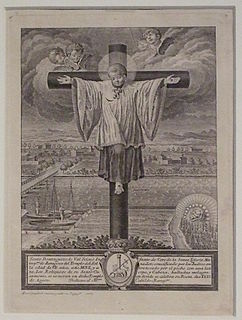 Saint Dominguito del Val was a legendary child of Medieval Spain, who was allegedly a choirboy ritually murdered by Jews in Zaragoza (Saragossa). Dominguito is the protagonist of the first blood libel in the history of Spain — stories that grew in prominence in the 12th and 13th centuries of the Middle Ages, and contributed to antisemitic incidents. According to the legend, Dominguito was ritually murdered by Jews of Zaragoza. The Baloch or Baluch are an Iranian peoples who live mainly in the Balochistan region of the southeastern-most edge of the Iranian plateau in Pakistan, Iran, and Afghanistan, as well as in the Arabian Peninsula. Aidan of Lindisfarne Irish: Naomh Aodhán was an Irish monk and missionary credited with restoring Christianity to Northumbria. He founded a monastic cathedral on the island of Lindisfarne, known as Lindisfarne Priory, served as its first bishop, and travelled ceaselessly throughout the countryside, spreading the gospel to both the Anglo-Saxon nobility and to the socially disenfranchised. ↑ Cornelius Tacitus; Percival Frost (1872). Annals of Tacitus. Whittaker. p. 38. ↑ Olivier Hekster (1 January 2002). Commodus: An Emperor at the Crossroads. Brill Academic Pub. p. 30. ISBN 978-90-5063-238-6. ↑ Paul-André Bempéchat (2005). Liber Amicorum Isabelle Cazeaux: Symbols, Parallels and Discoveries in Her Honor. Pendragon Press. p. 45. ISBN 978-1-57647-091-6. ↑ Joseph Haydn (1870). Haydn's Universal Index of Biography from the Creation to the Present Time: For the Use of the Statesman, the Historian, and the Journalist. E. Moxon, son, and Company. p. 215. ↑ Chisholm, Hugh, ed. (1911). "Calder, Sir Robert" . Encyclopædia Britannica . 4 (11th ed.). Cambridge University Press. Wikimedia Commons has media related to August 31 .